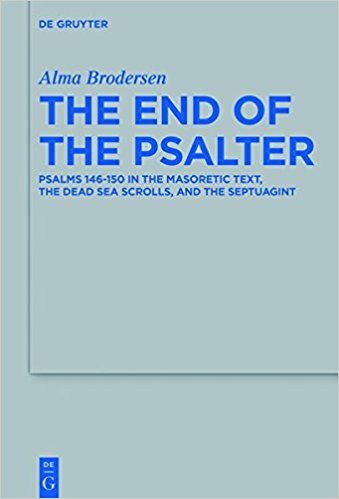 Description: "The End of the Psalter" presents new interpretations of Psalms 146-150 based on the oldest extant evidence: the Hebrew Masoretic Text, the Hebrew Dead Sea Scrolls, and the Greek Septuagint. On a sound methodological foundation the book analyses and compares these sources including their intertextual references, and concludes that Psalms 146-150 were at first separate texts which only in the Masoretic Text form the end of the Psalter. Citation: Nancy L. deClaiss�-Walford, review of Alma Brodersen, The End of the Psalter: Psalms 146�150 in the Masoretic Text, the Dead Sea Scrolls, and the Septuagint, Review of Biblical Literature [http://www.bookreviews.org] (2019).